When most people think of “Iron Man” records in sports they usually think of Cal Ripken Jr. On September 6, 1995 Ripken broke the MLB record with most consecutive games played when he completed his 2,131 straight game. His streak would end at 2,632 games and set the record on September 20,1998. 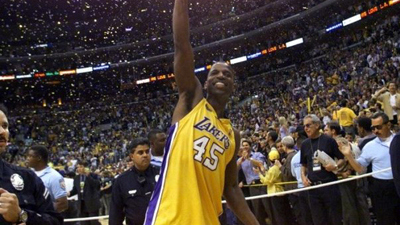 Another player that holds a similar streak in the NBA is A.C. Green. Green was drafted by the Los Angeles Lakers with the 23rd overall pick in the 1985 Draft. Green would play every single game of his rookie season. In his second season for the Lakers he sat out three early games. He returned to the court in San Antonio, TX versus the Spurs on November 19, 1986. The Lakers would win the game 117-108 over the Spurs that night. Green scored no points in 13 minutes of play. What no one realized is that uneventful game would be the beginning of history. A.C. Green would continue to play in every game until he finally broke the previous record held by Randy Smith. Smith played in 906 straight games. Green played his 907th straight game on November 20, 1997 setting the new record. A.C. Green never stopped playing until April 18, 2001 while playing for the Miami Heat against the Magic in Orlando, FL. He had played in 1,192 consecutive games when his streak ended. No other player in the history of the NBA has ever come close to this record. During the course of his 17 year NBA career Green would play for four different teams (Lakers, Suns, Mavericks and Heat). Green only missed three total games his entire career playing in 1278 of 1281 games. He scored 12,331 career points was an All Star (1990) and won three NBA Titles. Greens career was slightly above average when you look at his numbers and other accomplishment. However when you look at the record he hold he looks flat out super human. This entry was posted in NBA, sports, Sports History and tagged 1, 1192, 1278 of 1281, 192, 1997, 2001, 906, 907, a.c. green, ac gree, April 18, cal ripken, consecutive, games played, heat, history, iron man, lakers, los angeles, magic, mavericks, mavs, November 20, previously, randy smith, San antonio, spurs, streak, suns, the record, who held. Bookmark the permalink. I agree, I found the furthur and further I reashearched Green the more I admire him for this feat.